The following are respresntative examples of telephone central office buildings in Area Code 316 (Wichita, KS Metro). This building was built around 1977 or 1978 to house a 1ESS switch which replaced the old step switches located a block away on N. Topeka. 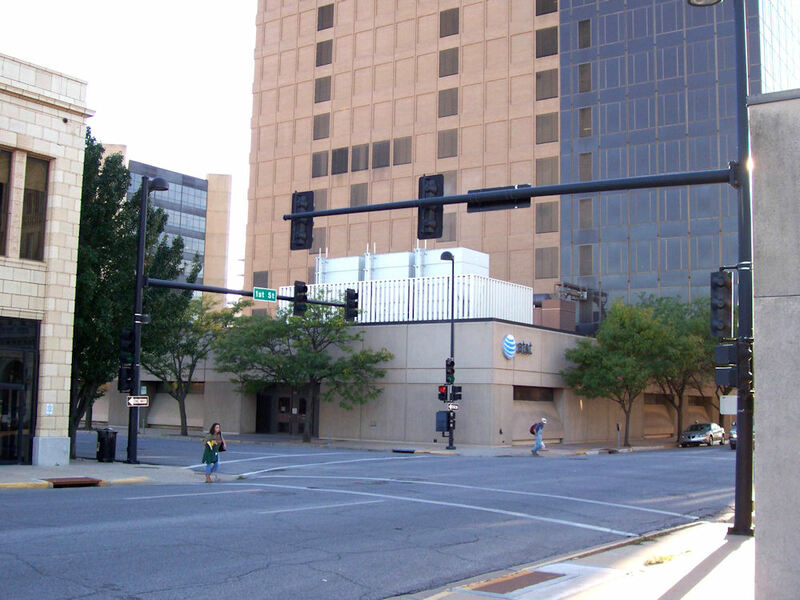 The new location was chosen because it is right behind the toll building on N. Broadway (WCHTKSBR) [the tall two tone brown/black building) which housed the 4ESS toll switches for Southwestern Bell and AT&T Long Lines at the time.